Begin your letter by clearly indicating the parties involved in the agreement. Remember to include the date the agreement takes effect and title of the venture. Clearly state the reason for your agreement in your first paragraph giving description of all details such as stake holder ratio, payment period etc. Do not forget to mention the duties of the agreement parties to third parties on involved in agreement signing. Do not assume things in your agreement letter, pen down every tiny detail, you might need its clarity in case of disputes. Clearly define the terms and conditions used in your agreement letter. 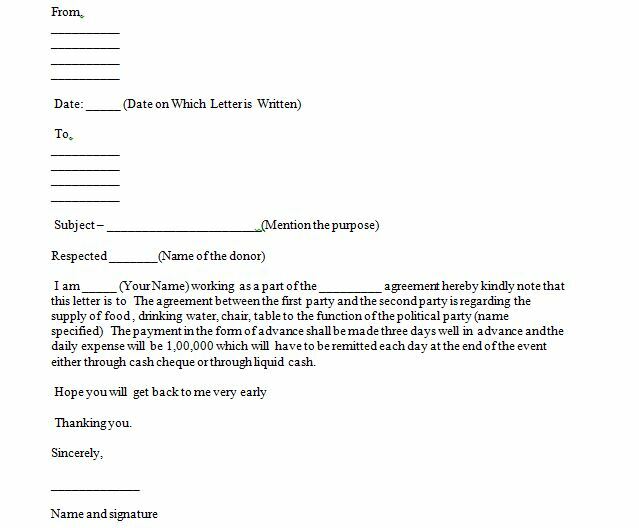 Conclude your letter by having each party sign your agreement letter and register it as a legal document with relevant authorities.